Dry cough (Varattu Irumal in Tamil) could probably the most disturbing thing once it is on us or to our kids. As the cause for dry cough (varattu Irumal) can be of wide range of reasons it is always difficult to prevent it. For dry cough most adviseable solution is to smoothen the throat and make the life easier until your body reacts to it. 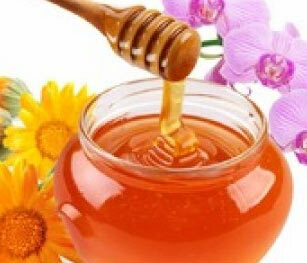 Most of the dry cough remedies will have honey, because the soothing effect that pure honey can provide is unmatchable to any medicine. When we were in United States doctors officially suggest pure honey for dry cough. Only if it cannot be controlled even after 20 days they will go for anti biotics. For Children 1 Year and Older: Use HONEY, 2 to 5 mL, as needed. It thins secretions and loosens the cough. Recent research has shown that honey is better than drugstore cough syrups at reducing the frequency and severity of nighttime coughing. As we understand honey is the most effective controller of dry cough, we also need to look into the fact that getting original honey is the biggest challenge. If you have accessibility to real honey then it is a gift. As part of reviving our native specialities, NativeSpecial.com is availing you pure Kombu Thaen (Honey taken from tree tops) from Koodalur Adhivasi's and Hill Honey from Karandamalai, Panri Malai of western ghats near Dindigul. For kids above 1 year, 2 - 5 ML of honey daily would do wonders. To know simplest ways to find pure honey visit this youtube link https://www.youtube.com/watch?v=AsJ68Kk_zBo. This could be the most simplest and right way to test the originality of Honey.